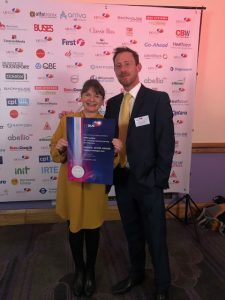 22 Nov Steps and TfL win at the UK Bus Awards! We’re proud to say that Steps and Transport for London have received a Silver UK Bus Award for our successful ‘Hello London‘ programme! At an awards ceremony on Tuesday 20th November, the programme was recognised in the ‘Putting Passengers First’ category having delivered Customer Experience training to 25,000 bus drivers over a 2 year period. 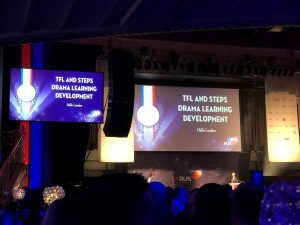 Congratulations to everyone at Steps, Transport for London and the London Bus Operators who put so much hard work into making the programme an award winning success – and of course to the real winners, the fantastic London Bus Drivers! To find out more about the (award winning!) programme please click here, or to find out more about the UK Bus Awards, please click here.